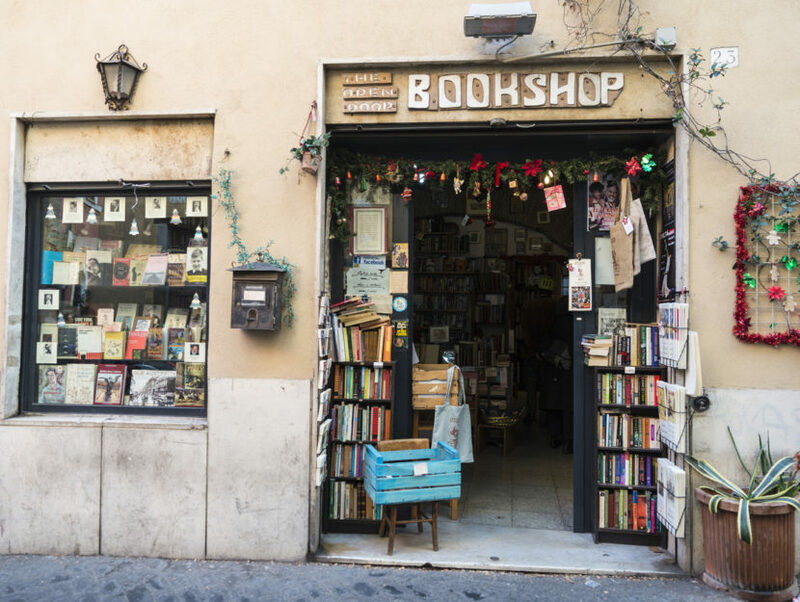 Read on for 7 delicious bookstores that are off the beaten path—but deserve to be found and savored. 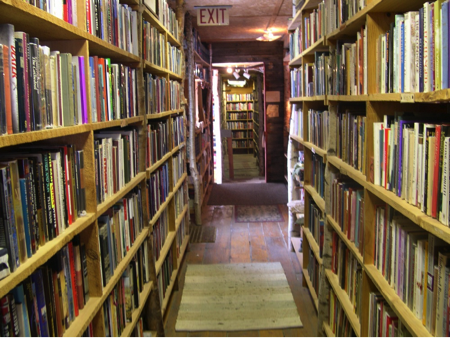 Stone Soup Books (35 Main Street, Camden, Maine): In a narrow, shingled building between a restaurant and a home goods shop, there is a staircase leading to a tiny store that is filled floor-to-ceiling with secondhand books. This is Stone Soup, founded in 1982 by Paul and Agnes Joy in the small coastal town of Camden, Maine. Though at first glance the stacked shelves may seem overwhelming, Mr. Joy has an amazing memory for his inventory and will help you find exactly what you’re looking for. Get lost in the large selection of contemporary and classic paperbacks, or their sections of nautical volumes, books on exploration, and Maine books. 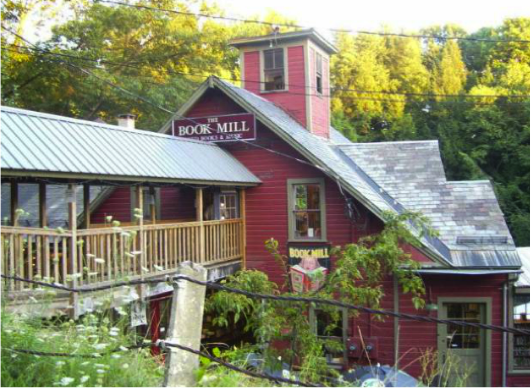 The Montague Bookmill (north of Amherst and Northampton Massachusetts): The Montague Bookmill is so out of the way that their humorously self-effacing mantra is “Books you don’t need in a place you can’t find.” This used bookstore is housed in an 1842 gristmill on the banks of the Sawmill River. Your best bet is to follow the directions on their website, since they advise visitors not to use GPS. 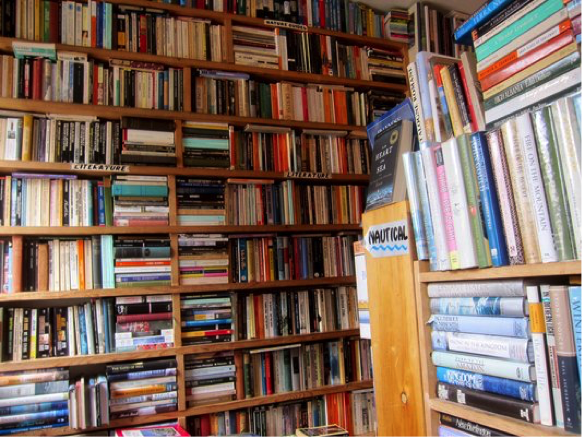 The destination is well worth the journey, as they have thousands of books, most of which are half-price. Their lovely store features cozy reading nooks, too. 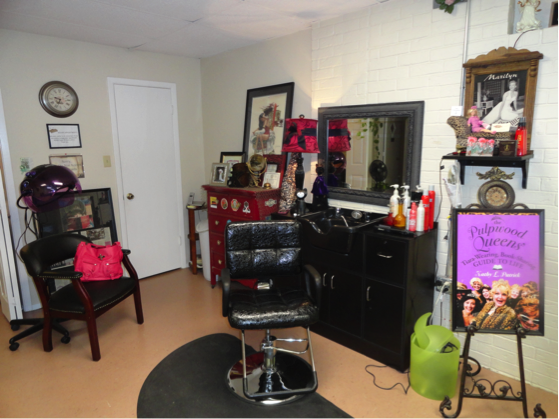 Beauty and the Book (2501 S. FM 2687, Suite B, Hawkins, Texas): The ONLY hair salon/bookstore in the WORLD has a big personality! Kathy Murphy opened her unique space in January 2000, and has since received coverage from “The Oprah Winfrey Show,” “Good Morning America,” The Los Angeles Times, Time Magazine, Newsweek, and The Wall Street Journal. Out of Beauty and the Book grew the Pulpwood Queens Book Club, a giant book club of over 550 members who meet and discuss books worldwide. Take a trip out to East Texas for some TLC at this full-service spa and bookstore. 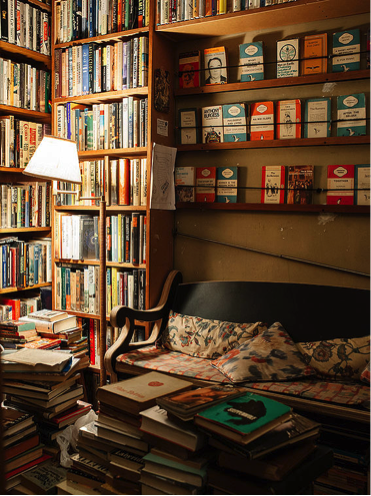 Brazenhead Books (Upper East Side of New York City): Somewhere on the Upper East Side is a secret “speakeasy” bookstore run by Michael Seidenberg out of the small apartment where he lives. Seidenberg used to run his second-hand books business in commercial retail spaces, first in Brooklyn and then on East Eighty-Fourth Street in Manhattan, but when the city’s real estate grew unaffordable, he chose to go the work-from-home route. The store isn’t public because, of course, it’s illegally run out of a residential space. In a video about the store, he invites readers to look him up in the phone book and give him a call—assuming they can still find one, somewhere. Judging from photos of his inventory, the detective work will be well worth the visit. 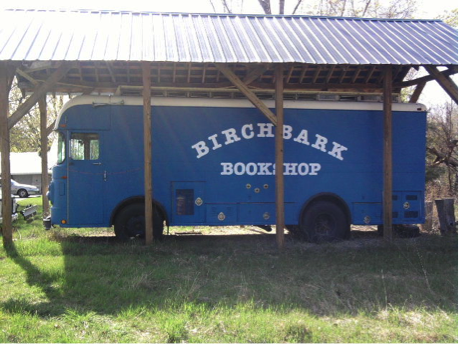 The Birchbark Bookshop (40 Ashton Road in Potsdam, New York): Far up in the North Country of New York there is a bookstore built out of birch that houses over 80,000 volumes. They carry a little of everything, including local history, rare books, vintage magazines, and records. Owner Tim Strong opened the store in April 1990 and has been going strong ever since. The sturdy homemade bookshelves and the woodstove lend the store a rustic air. The store isn’t just out of the way because it’s upstate: it’s also hidden pretty deep in the woods. Wind your way down Ashton Road to visit this beautiful store and the Birchbark Bookshop bus that’s likely to be parked outside. 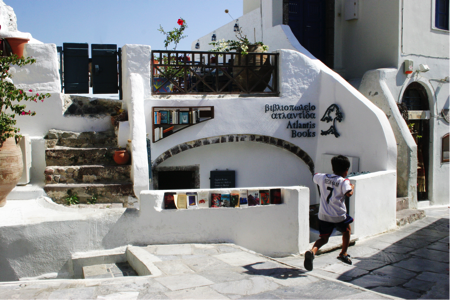 Atlantis Books (Santorini, Greece): It’s hard to find a more charming hole-in-the-wall than a bookstore in an actual cave house on a Mediterranean island. 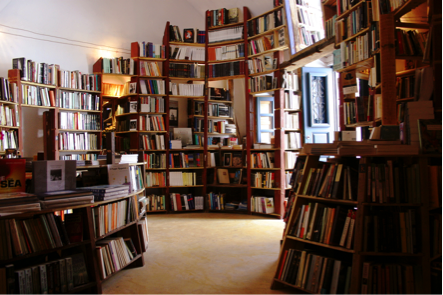 Atlantis Books is Santorini’s first local bookstore, founded in 2004 by a group of friends from three countries. Atlantis houses books in Greek, English, Spanish, Italian, German, French, and Dutch. The owners also sew little handmade books in the back of the shop to be sent through the mail, so if you can’t make it to Santorini this year, you can get a little piece of Atlantis right in your mailbox. And if you can stop by, be sure to check out their ongoing events, including literary festivals and film screenings. The Book Barge (somewhere in the U.K.’s canal network): The Book Barge is a floating bookstore on a canal boat, with a home base in Lichfield, Staffordshire, England. 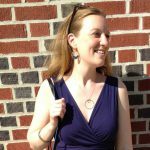 Sarah Henshaw started her independent bookstore on a boat to give readers a unique experience that might remind them of the unhurried pleasure in shopping for books. 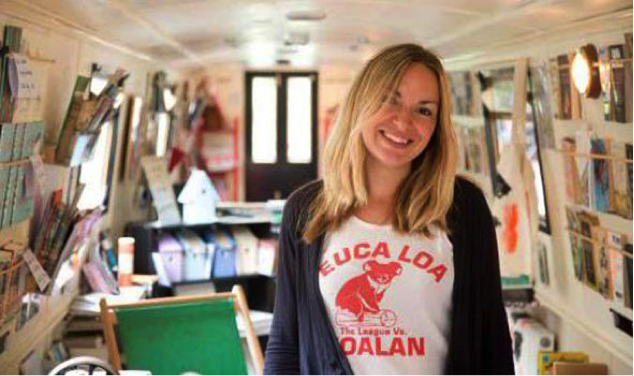 She has since toured the U.K., bartering books for food and even some help with the boat’s engine (The Guardian). If you have the good fortune to find the Book Barge docked near you, make time to hop on board and browse.